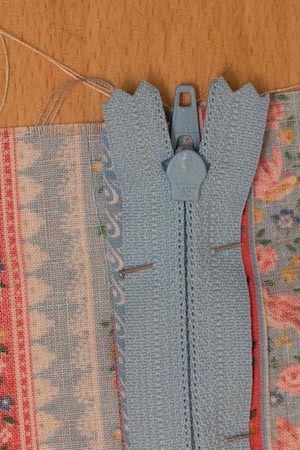 There are many sewing jobs that you can do from home if you are handy with a needle and thread or a sewing machine. If you know how to hem pants or jeans, can mend a stuck zipper, enjoy sewing curtains or enjoy being creative and designing embroidery patterns, then these skills can help you to earn extra money while enjoying your hobby. For those of us brought up in times when "make do and mend" was a common saying, these tasks are simple enough. It is perhaps difficult, to think of them as "in demand skills". But that is just what they are! In these days of global recession more and more people are realising that replacing damaged clothing is not always an option. Instead, they look around for someone who can repair them and give them a new lease of life. Even if they do go out and buy new items, these will often need shortening, or taking in, so that they fit properly. Have you ever been in a house where the curtains are too long for the window, but not long enough to reach the floor? That is probably because the home owner does not know how to alter them. If you do, then there is one sewing job sitting there waiting for you! Can you sew in a zipper? Pop postcards in local shop windows offering your services, and you are likely to be sewing for profit before too long! Amazon offer a wonderful book that will give you tons of information about How to Start & Maintain a Profitable Sewing Business which would help to get you started. Maybe your talents lie in creating something from scratch, rather than mending? People still get married (honestly - they do!) and wedding and bridesmaid's dresses cost the earth. If you can produce a gown fit for a princess and make a tom-boy look like an angel for the day, there is money to be made. Talking of children, shop bought toys and teddies are great, but a rag doll that has been made by hand, is more likely to become a treasured possession. 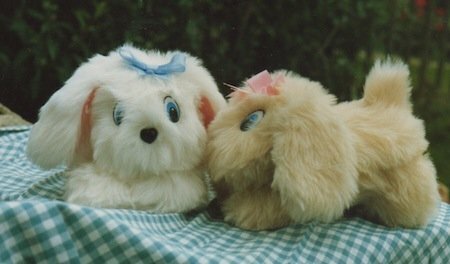 I made soft toys and hand puppets for many years, selling them privately and at craft fairs, and was never short of customers. A pair of furry puppies I made, many moons ago! What if you prefer hand sewing and embroidery? I'm guessing you do, as you are here. Yes, you can still make money by undertaking slightly more unusual sewing jobs. All those patterns you see in the needlework shops have to be test stitched before they go on sale. How else do the manufacturers get a photo to put on the front? If you can stitch neatly and quickly, why not drop your favourite designers an e-mail, asking if they need test stitchers? They might just bite your hand off in their eagerness to sign you up! I know I did when I was building up my team. If, on the other hand, you are a creative person maybe you could try your hand at designing embroidery patterns yourself? Being able to draw is not always a prerequisite, so don't shy away from the idea. 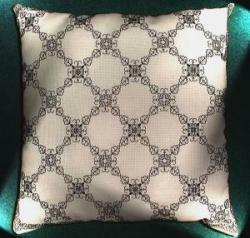 There are many counted embroidery techniques that are created on a square grid, such as cross stitch and hardanger. If the idea appeals why not check out my ebook Stitch Your Own Business to learn more. Traditional needlecrafts are at risk of dying out. If you have the skills, why not consider teaching sewing or embroidery as a way to make extra money? Evening, all day or weekend classes, you pick! Experienced tutors are in short supply. If you are happy to travel, you can attend national shows and teach there, or stick closer to home and ask if your local needlework shop has space for a class to be held. Often the needlework magazines will list clubs and groups, along with a contact name and number. Why not give them a call, and see if they would enjoy a hands on workshop at their next meeting? Again, I have shared full details on what is involved in the ebook I mentioned above. 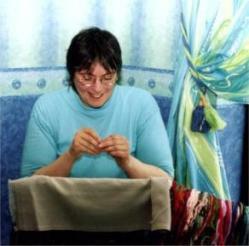 There really are many ways to use your skills and initiative, when it comes to finding sewing jobs to do from home. Are you ready to have a go? If so, I have one more book to recommend. 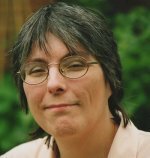 Pricing Without Fear by Barbara Wright Sykes, will help you to price your sewing services effectively. It covers subjects such as home decor, bridal, alterations, children's clothes, and much more. 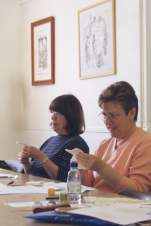 Sykes has written many books on the Business of Sewing and offers solid advice. THE BOOK you NEED if you want to earn money from your needlework hobby.